If you find yourself making jewelry or homemade soap or other awesome stuff in your spare time, it may be time to consider selling your products online. There are thousands of websites all over the internet where creative geniuses have decided to share their products with the world. Whether you turn this into a full-time business, or it’s just something used to occupy time on the weekends, it is never a bad idea to share your creativity with the world, and make money doing it. You never know what your business could turn into! You can turn your hobby into an extra $1,000 a month, $10,000 a month or heck, maybe even $100,000 a month! First, you need a website. This is super easy and way less scary than it sounds, even if you know nothing about owning or operating a website. 1. Start by registering your domain with Bluehost. Try to choose a domain name that is memorable and easy to spell. Domains are usually about $15, but Bluehost is giving MLoL readers a special deal of a FREE domain with a hosting plan right now, which is amazing! 2. Once you have registered your domain, you need to choose your hosting plan. Any website that you plan to make any amount of money at all, must be a self-hosted website. This means that you are renting space on a server and paying to have your website files live on the internet. But IT’S CHEAP! Bluehost has given my readers a special deal of only $3.49 per month to host your website. That is the cheapest hosting plan that I have heard of, and I have had hosting plans for 15+ years. So, sign up here and get your special rate. Bluehost also has a 24/7 customer support center, which definitely came in handy when I was first starting out. 3. You can choose which platform you want to use for your website. Most blogs are using WordPress, because it is so user-friendly. There are e-commerce plugins that make it easy to sell things, complete with a shopping cart and all you need to run an e-commerce business. WooCommerce is one of the most popular e-commerce plugins out there. Just do your research, and find out which one has the best reviews for usability. 4. Download your platform via your cPanel. Here are the instructions from Bluehost. It is super easy. You are pretty much ready to start selling your stuff online! Now, I know what you are thinking. 5. There are a lot of ways to draw people to your website. I would start with social media. Tap into your circuit of friends and family sharing your ideas to all of their friends. I would also suggest starting a blog portion of the website where you can blog about things in your industry and draw followers there. 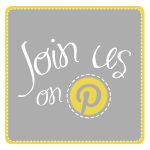 Collaborate with other bloggers or small shops. Offer giveaways, sponsored posts, drawings, etc. You can also look into Google Adwords, which is pay per click advertisements. This is a good business model for some businesses, and too costly for other industries, so just experiment with it and see if the money you spend on clicks equals more money in sales. 1 Choose a domain that is easy for people to remember- no hyphens, or weird spellings. 3 Choose a platform that is good for e-commerce. Use the WordPress plugin from WooCommerce to sell your items. The plugin is free, and it is built to work seamlessly with WordPress. . Wordpress one-click installation is easy to find on your cPanel after you login to your hosting. Click here to start selling your stuff online! 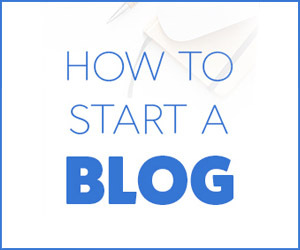 This is so helpful and I’m really excited to get started with my own blog! Thanks for what you do! I have a question about selling things. Will there be any issues about zoning that I will have to resolve before I begin to sell things? If I am selling baked goods, will I need to rent a kitchen or will I be able to do that out of my house? Hi I’m in Australia so is there any restrictions woth using Bluehost? Thanks ? No, you can use Bluehost anywhere! It is a really great service and I have had great luck with it. Good luck!